Do Evil People Really Exist? Rather than using the terms "evil" or "good", some people prefer to refer to these values as "negativity" and "positivity", or negative and positive energy. 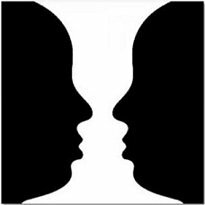 And they call people who regularly choose negative thoughts, energy, feelings, attitudes and vibrations, well, obviously, "negative people"! For me, I think of "evil" not in the "religious" or biblical context but rather, I think of evil as someone (and this someone could perfectly well be a discarnate entity) who regularly and consistently chooses to HURT people DELIBERATELY. I don't think that people are evil if they often "feel bad", or are blue or depressed or ill or suffer from mental illness or, heaven forbid, are LEFT- HANDED (like me)! Feeling bad, depressed, angry, furious, down and out, frustrated, etc., for me, that is just normal human emotion and part of life. That's not evil! Can People Be Born Evil? But occasionally, we might bump into (or read about in sensational news articles) people who are really, really evil. Why are some people evil? You might ask. Are some people naturally evil? No one is a "naturally evil person". As I said, people aren't "born evil". Becoming good or becoming evil, doing good things that make the world a better place or doing bad thing that cause suffering, are all CHOICES. All human souls are created by G-d, so all human beings have the "G-d spark" or divine spark within them. However, G-d also created all of us with F-REE WILL. And, obviously, we can use this f-ree will to choose to work against G-d and deliberately cause pain and suffering in the world. Of course, we can't ever, in all of eternity, ever actually EXTINGUISH the G-d spark within us (and why would anyone ever want to do this anyways?) since it is our core, it is what makes us, US. But we DO become what we CHOOSE to become. And some people DO choose to become evil people. What Do People Do to Become Evil People? 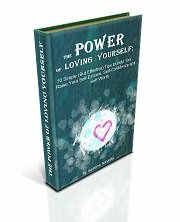 My new e-book, "The Power of Loving Yourself: 10 Effective Tips to Help You Raise Your Self-Esteem, Self-Confidence and Self-Worth" is finally out! Are you ready to let your confidence and self-esteem (and thus your success in the world AND your bank account) soar? Browse through the latest articles and posts here on the The Seas Of Mintaka Site Blog.